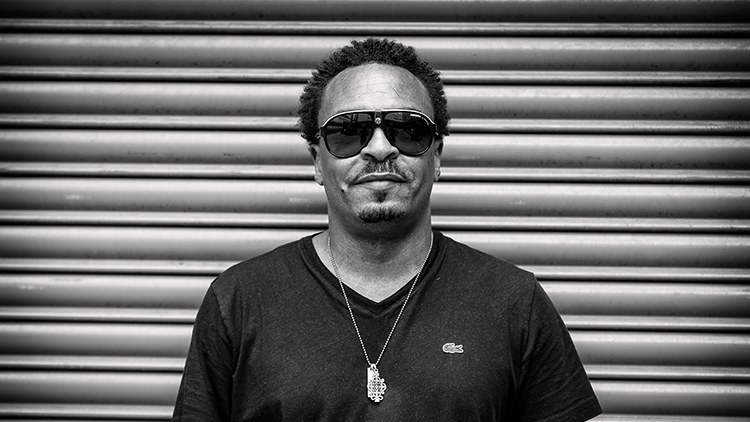 "When you’ve got a passion for it, everything just flows..." RFB catch up with house pioneer Roy Davis Jr.
Safely cemented as a figurehead of the Chicago house scene, pioneer producer Roy Davis Jr. heads up the formidable lineup of the forthcoming Sound History Tour, and RFB caught up with the man to see how he feels about hitting the UK venues, EDM’s dominance in the States and the importance of bringing positivity with his music. How are you feeling about coming back over to the UK? I imagine it’s quite strange for you, as an artist, you’ve changed with the times and you’ve kept on top of stuff, but the soul and heart of the music has always been true for what you’ve been doing for the past twenty years. Is it a weird sensation when people say “oh we’ve heard your music now” but they take it into this EDM world? Yeah because we laid the format, we laid the groundwork to what these guys are doing, I’ve played all the big festivals like Coachella, but seeing that these guys are having bigger stages and a lot more kids it was a little under the belt, I felt there was no respect to the guys that actually kept this music alive and kept doing it. And a lot of these guys were just pop-up DJs, but in places like Chicago and New York it was a culture. That’s the difference. We weren’t doing it because it was a fad, we were doing it because we loved it and we had a passion for it. So we saw it getting a bit distorted so for a minute I was like “okay maybe I need to back up”, and when I was doing my album I was still like “let me try to wait a little bit, let me see what’s going on”. I know that when something’s not real, then it’s gonna die. I felt like I’ve always been true to my music and true to Chicago’s music because we had a passion for it, so I felt like having a bit of patience. I’m still working, still doing things; it’s not a super duper stress for me. Is that where you’re at right now - just making good house music..? Yeah man. It could be Chicago tech, it could be early Trax Records type stuff, I just kind of wanna bring it back to the essence, that’s why I called the album Destroy and Rebuild. Touring the UK and testing the album here and there and getting great feedback helped me determine the direction I was going in. Though the American side of things might not be to your taste with the new stuff coming through, how are you feeling about the new garage and house in the UK, are you enjoying it? Yeah, I’m loving it, I’m digging a lot of stuff, Rudimental, Disclosure. It’s bringing back the old sound but with a fresh new twist to it. At least guys out here are getting a chance to perform and everyone’s getting an opportunity to hear it in a different light and not just what they’re calling the EDM thing. The kids are now getting the opportunity to hear melodies! I feel like you’ve influence that new sound, what’s it like for you seeing a group of young people go out and make this kind of music? It’s been a pleasure to see all these young acts come up and do their thing, inspired by some of the stuff I’ve done in the past, and moving it forward to the future. It’s inspired me a lot to rejuvenate, to re-spark the flame and keep the torch burning and move it on, and also not be afraid to pass it on so it can grow. It must be nice to know that in little pockets of London and around the UK people are listening to your stuff. Yeah people on Soundcloud are doing their own dubs and different twists on it. It’s interesting you mention Soundcloud, how do you feel about technology and the change its had on music? I think technology is good in certain ways and bad in others – especially bad when it comes to an artist making a song and it then being downloaded illegally eight hours later... That’s the downside but you gotta move forward from that, you can’t stop it. In some ways it kind of helps you, it will get into the hands of certain people who never knew who you were. People are trading their music files or whatever, but of course I’d prefer them to buy it. It’s a very rapid pace of technology right now and I get into guys every now and then about their mixing style because DJing was a culture not a fad, and you had to have technical DJ skills. Whether you went from hip-hop to house or house to disco, you had to have those skills, and now with Traktor and all that kind of stuff for radio shows, I felt a little bit stiff. If I’m mixing a track that’s offbeat, that’s the rawness and the essence of this style of music and the style that I spin; some guys are like “you have to have the mix perfect”. I’m not dissing those guys; it’s just that the technology gets before them. There are not many turntables available in the clubs, there’s not a good upkeep on them. Things change and I’m not afraid to move on with the times and how things go but as a DJ, you should probably learn the technique first. How are you feeling about your upcoming Sound History tour? I think that it’s gonna be really refreshing, to bring back some good vibes and some old school stuff and some new school stuff. I think the tour is gonna be great. Everybody sticking together to do something positive is always good. With a tour like this, you’re headlining, you’re the influential figure. In the way that it’s booked, does it change your perspective on your responsibility? It makes it fun because I’ve always been an open-minded DJ. It’s giving me more freedom actually because I feel like sometimes the older generation that are stuck in their ways they tend to not have the same openness, so you have to stick to a certain sound or a certain path or they won’t enjoy themselves so with the younger generation right now it’s been pure pleasure. If I want to test a track that I made in two days, it might be a little weird, not the usual deep Roy Davis Jr house, I can drop it and the kids still love it. It’s just inspiring, the whole growth of it, I just like to stay open. We’ve spoken about change in sound but I’m curious as to whether you think the crowds have changed too - Do the kids into this kind of music behave the same as the ones of ten or twenty years ago? Well, lately the crowd has been a lot more intense with me the last two years. It’s just been really active, it’s been younger and they’ve just been a lot more active. When you’re done they ask you a million more questions and when you’re done with the tour, you come home and your inbox is full with a million and one questions. Sometimes I take time out and I answer them like “what kind of equipment are you using?” Equipment I use now is totally different to what I used back in the day, and it’s hard to re-duplicate what I’ve done because of the equipment change. I don’t ever like to walk down the same road, painting the same picture all the time. Technology and all this stuff today has motivated me; I still love to go and grab an old 106 and look at it, and tapping it to the mixes, twist it all up, it’s all good. When you’ve got a passion for it, everything just flows. We spoke earlier about the culture around DJing when you were younger. What do you think the culture of deep house and funky is now? What are the other things it interacts with that make it what it is? Everyone has their own little thing, their own take on how they do it. When I was coming up I started out playing like IRT and stuff out of New York, the breakdancing stuff, you know? Then I moved onto Italian disco then onto house, and house always seemed like it could be the sound that has stuck around and it doesn’t seem like it’s going anywhere soon. As long as we have younger kids and we inspire them to be open and to create, then it’ll always be around. The more commercial they make it, it kind of takes away from it, so it’s very important you have people such as myself, or a Derrick May or a DJ Pierre or a Kerri Chandler, it’s important that we get in there, that we do the same thing and get the same amount of press to make sure that the music doesn’t get so watered down to the point that people don’t want to hear it anymore. That’s kind of what’s happening with EDM, now it’s on the radio 24/7. It’s also making younger kids research “okay where did this come from?” and they start researching and they find out it came from Chicago. Who was Adonis, who was Pierre who was Lil’ Louis, who’s Glen Underground? So in Chicago house we had such a broad range of sound for house music, from vocal house to deep house to disco to what we call Chicago trax, and what the world tried to change and call it techno. Acid house all of a sudden became techno. Chicago trax sound became what they call techno, but to us it was trax. Some of those tracks were made in the light of day, made on cassette tapes and playing them at parties. It’s important to reflect the past, and give those guys their dues. How do you feel about it from an artist’s perspective, are you fighting for attention or are people supporting – what did of the line do you feel like you’re on? Right now I feel very current. I’ll feel on top of my game when the new album comes out. It’ll be a reflection of where I’m at, and everywhere I play it’s just full of support. I’ve always had different avenues to vent my creative ability. How do you approach those different avenues? You work on broadway plays too… Is it a similar way of looking at thing? It’s usually a little different because someone would say “we need music for this particular scene”, or “this is what we’re doing, we can pick through your catalogue or you can create something new”. So that’s been very open in a different approach. Did it teach you much about making music to be involved in that kind of process when you seeing a scene played out in front of you and you have to then work it out? Yes, because certain moves a dancer would do, you might want the bassline to drop or come heavy or you might want to lay some strings at a certain point. It’s a picture to the dance. In the future I’ll be doing more of that kind of stuff, TV soundtracks and stuff like that. Right now; I’m enjoying spinning, I’m enjoying creating and I’m just enjoying life right now. And what else is inspiring your work? Well a lot of inspiration is coming from me just researching music. Just listening to different vibes, people like Flying Lotus. You know, just different things, besides the every day radio music. Sometimes I’ll make records that I know people might not get, they might not understand, but maybe twenty years from now they will. Sometimes I go through that a lot, especially when it comes to music with the masses, something that has to do with a good time, spiritual growth. I just hope that when I leave this place, people will go back and know that I had a positive message, one that wasn’t negative; it was something to unite people, and to be about love. That’s mainly what I want people to remember about me. Like “that guy laid it on the mic, he was the best!” You know, growing up listening to Stevie Wonder, Bob Marley and all these guys, who are open, you still listen to their music today, putting an electronic twist on it is not hurting anybody! It’s a different kind of passion, to build something up and then believing in it. You mentioned that your overriding message is about peace, love and joy. Is there a closer message on this album? Is there something you’re trying to get out about the place you’re in and the world around you? This particular album is still basically on that type of vibe, about love and joy and finding joy. Being catapulted into what they call the dawn of house, calling me that. You have a responsibility. Your responsibility is to uplift, and to also be truthful. Sometimes you might be down and you might need to lift yourself up and others up, to change the story around where it’s not about death or about harming people. It’s about coming through that. Passing through that tunnel and seeing that there is a light at the end of it. That’s basically how I write. And has that always been the case? Back in the day when you were making breakdance tunes, were you think ‘I just want to make positive music’? Yeah I mean when I grew up, my first record was actually ‘20 Below’, which didn’t have my name on. When I did the stuff with Marshall it was more intense writing, it taught me a lot and it made me actually respect it, love it and caress it. I just stayed open, I was young and very aggressive, making sure I got music out. I did strange songs back then, like when I look back at it, like ‘Mind Power’, it still had a message in it back then, but I go back to it like ‘Heart Attack’ on Power Music. That was kind of weird because it seemed like music was powerful, because everyone who touched that record was going into hospital. It was weird! That’s when I knew how powerful music could be. Do you think music is using its power for good right now? I know that the mainstream industry knows that. They keep a lot of negative music out there, and I’m glad to see things in the UK aren’t like what’s going on in America, and it’s very positive. Here right now in Chicago we get a lot of deaths, a lot of kids shooting each other, a lot of gang violence; these kids need music that’s gonna change their mental direction. Just last Sunday we had 20 deaths just by shootings. Young guys from like fourteen to seventeen. We have a serious gun issue here, and I think a lot of it is deriving from a lot of negative music that’s promoting drugs and death. It becomes a brainwashing situation, and I just want to make sure that I’m just doing my part by not participating in that side of things. You’ve got certain people out there trying to bully people and claiming they’re from Chicago and all that kind of stuff. And not even living here now, it’s almost impossible to grow up here and not be a part of any gangs, as a kid growing up. But then you get wise, and you move out and you move along from that kind of way of thinking. So when I see some of these house cats come up and try to diss these other guys, keeping all this ruckus up, they need to just go chill. I’m not trying to be negative about the situation, I just want to speak up about it. House music was about love, when I went to parties there was every different culture there. It was all united, it wasn’t about who was better than this person or that person’s style. It was all the same. Larry Heard was making mellow music but he was also making trax, and you also heard Derrick May’s ‘Strings of Life’ which was also very effective. You had lots of styles that were classified in that same house round. Everybody was all about love, they didn’t care what colour you were. There were even gangs in there but nobody was fighting because that music brought so much love and unity to our community. Do you think it holds the same feeling now? Does house music still bring the same vibe to the community? Stream Roy Davis Jr.'s seminal 'Gabriel' below. RFB has a pair of tickets to the London Date of Roy's forthcoming Sound History Tour - to win, enter here. 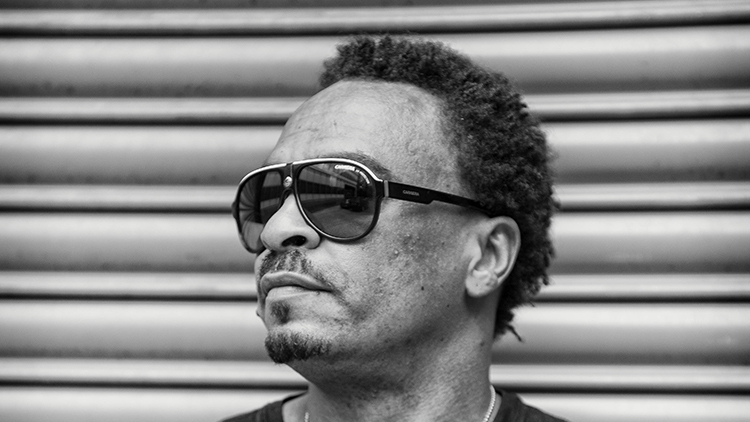 More information on Roy Davis Jr headlined Sound History Tour here.